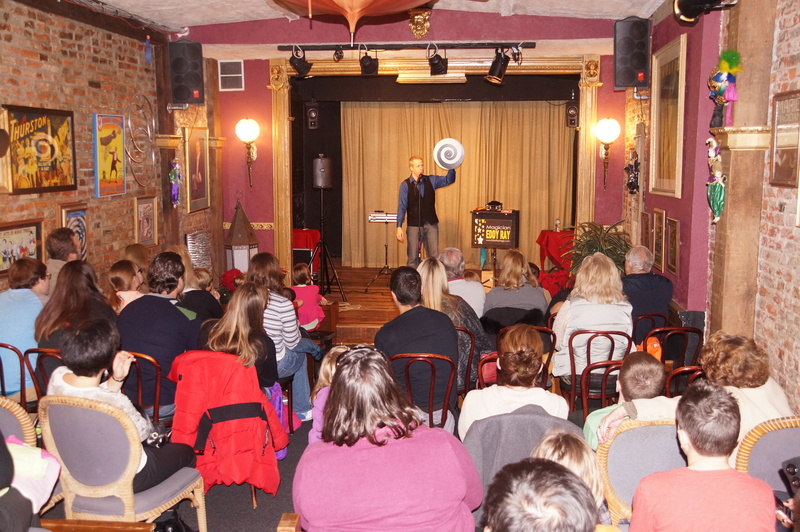 Pennsylvania Magician Eddy Ray’s magic shows are full of clean comedy, audience interaction, and amazing magic. We offer many magic show packages for families events including: private parties, family reunions, block parties, and many more. Any kind of event you can think of, Eddy can help make it memorable and AMAZING! – Jack & Sandy Neal – Lancaster, PA.
Just a quick sample of Eddy’s stand-up performance..
Strolling, Mingle Close-Up Magic – In addition to Magician Eddy Ray’s amazing Stand Up Magic Shows we also offer close-up magic and mind reading! Eddy will be strolling around from group to group performing close-up magic. Watch your guests react in amazement when borrowed objects such as money, rings, and rubber bands are used to create impossible illusions inches from the eyes of your delighted guests! Every small group of people will get their own mini 5-7 minute close-up magic show, then Eddy moves to the next group. This is perfect for weddings, festivals, private parties… anywhere! Add a touch of magic to your event! Fill Out The Form & Eddy Will Contact You Today!